At the end of September I started studying graphic design at Shillington College. My employer offered me the chance to enrole this year and it was an opportunity that I jumped at. I’ve spent a fair bit of time wandering around degree courses over the past few years thinking “I wish I’d studied Graphic Design” and now I have the opportunity to actually do so. Shillington is a fairly unique establishment in that their courses are short (my part-time course lasts a year, full-time is just 3 months) and intensive but are meant to leave you with a skillset similar to that of a degree graduate but very specifically taylored for jobs within the creative industry. I’ve been a full-time web designer for over two and a half years and in that time I’ve grown from being a self-taught wannabee to becoming a competant web designer and front-end developer (in my humble opinion!). My lack of structured training though has meant I have vast gaps in my design knowledge. I know about making websites and coding CSS but have very limited experience in things like branding and publication design— areas that I’m extremely interested in. So I’m sort of doing things back-to-front; I learnt to code and now I’m learning to design. Admittedly, when I first thought about the Shillington course I felt like I was stepping backwards a little— afterall I’m going back into education aged 30. My ego was brushed aside though by the desire to refine my skills with a class of like-minded people and some fantastic tutors. I’m the type of person that needs to feel like I’m constantly learning new things. That paired with a competitive nature means that a classroom environment has always suited me quite well. Refine my basic design skills and fill in gaps in my knowledge of layout, typography and colour. Become well versed in branding and creating brand guidelines from scratch. Gain knowledge and experience of the technicalities of creating designs for print and digital publishing. Gain real confidence in my design skills and further my ability to articulate my ideas and decisions. Increase efficiency, learning to work ruthlessly at a quick pace. Improve ability to come up with unique ideas and create strong concept lead design work. Create a varied portfolio of work outside of web design. Improve my website and user interface design skills by gaining inspiration from outside of these mediums. 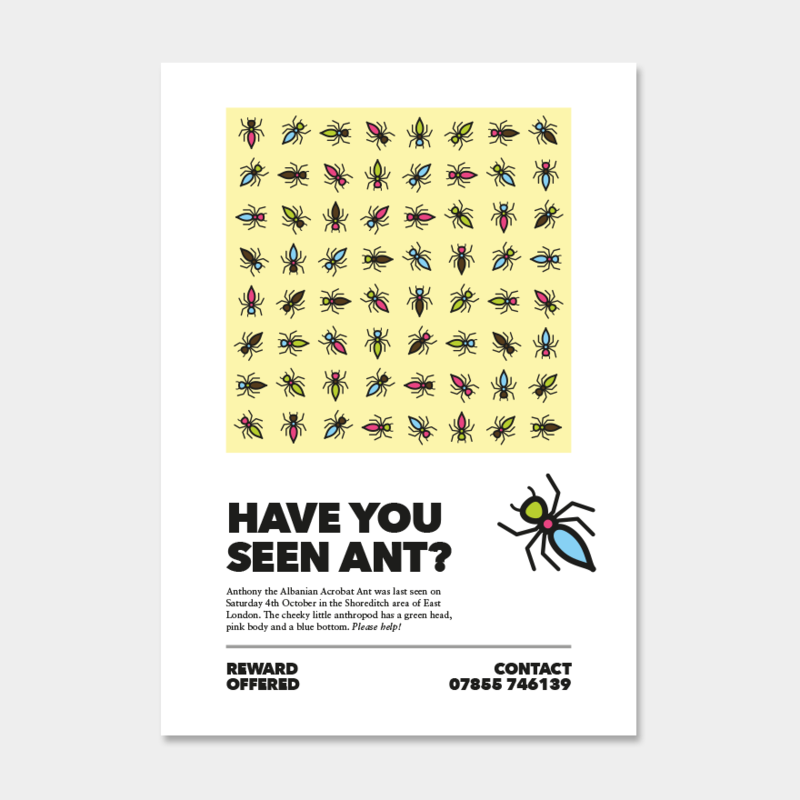 I’ve just completed my first four weeks at Shillington and I sure feel like I’ve learnt a lot already. After a gentle start brushing up on some basic use of the Adobe Creative Suite we’re already getting into detailed study of grid systems and typography, taking in some of the history and looking their use in commercial design briefs. An early task we were set was to simply draw a poster for a lost pet by hand. 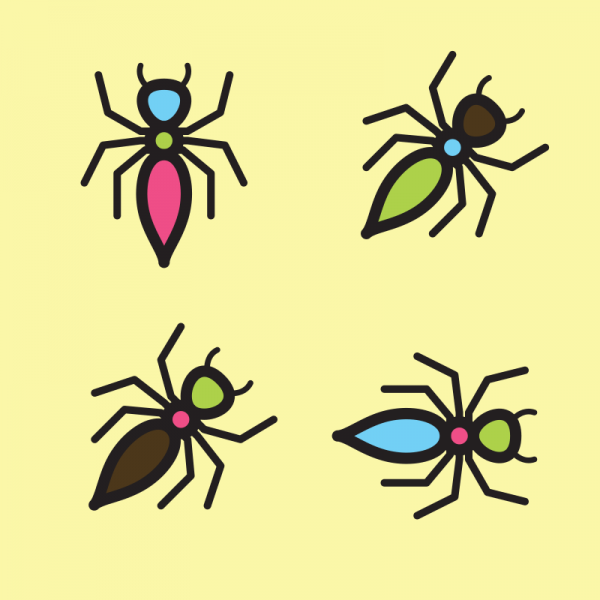 Being a terrible drawer I chose the simplest animal I could think of; an ant, and came up with a silly spot-the-difference concept. I ended up quickly putting my design together in InDesign, which you can see below. Hopefully I’ll look back at this work in a year and laugh at how much better a designer I have become. Three body parts in four different colours leaves 64 combinations. 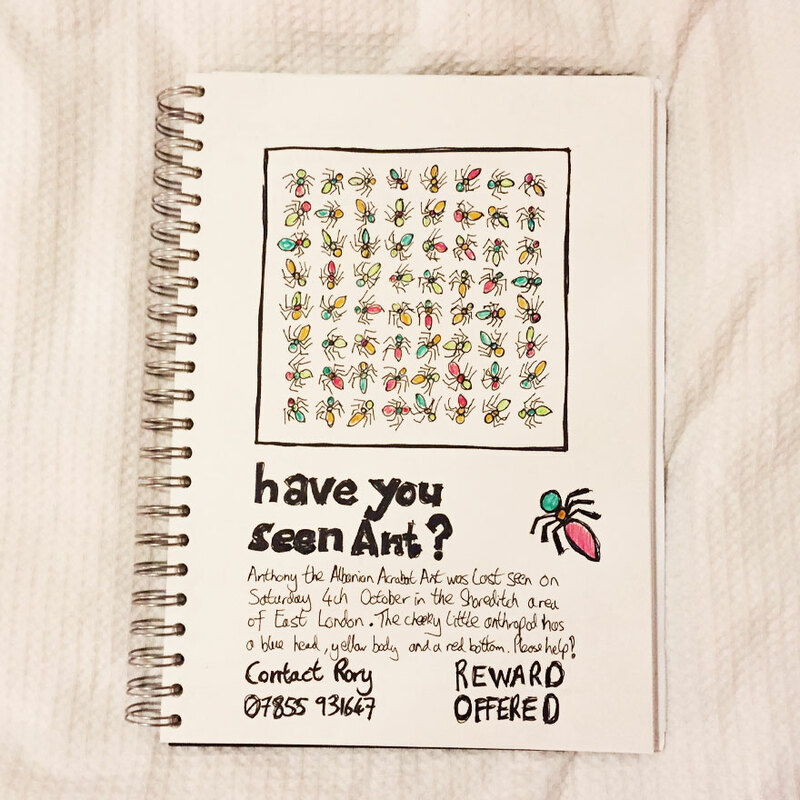 Have you seen Ant?